Clint Eastwood and Dina Ruiz attend the Museum of Tolerance International Film Festival Tribute Gala at Museum Of Tolerance on November 14, 2010 in Los Angeles, California. 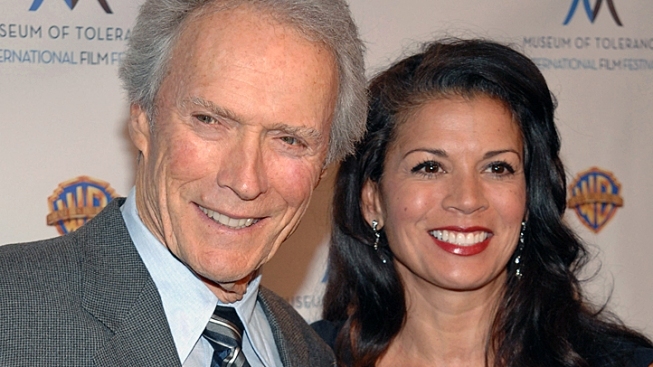 Clint Eastwood's family is coming to TV in a new reality show. The E! network said Tuesday that "Mrs. Eastwood & Company" will premiere May 20 as a 10-episode series. The show spotlights Dina Eastwood, who has been married to the Oscar-winning actor-director since 1996. Also on hand are the Eastwoods' 15-year-old daughter, Morgan, as well as 18-year-old Francesca, Clint Eastwood's daughter with actress Frances Fisher. Rounding out the cast is the all-male, six-member vocal group Overtone, managed by Dina Eastwood. "Mrs. Eastwood & Company" is being filmed in the family's hometown of Carmel, Calif., as well as in Los Angeles. Clint Eastwood is expected to make guest appearances.